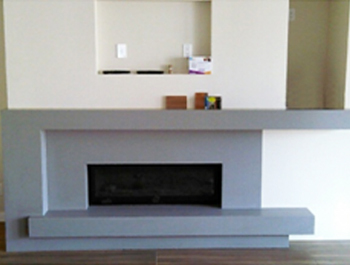 San Diego’s Premier Countertop Specialists! 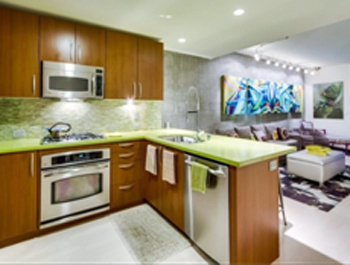 bringing to San Diego, the latest trends in both Countertop and Surfacing materials. ALL of San Diego County! Why Limit your Selection, When you can View it All? From onset to completion, our team of professionals are here to assist you every step of the way. 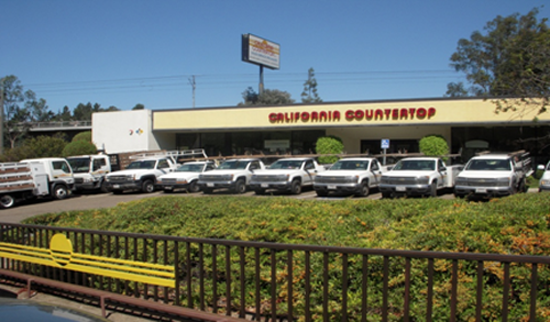 We NEVER sub out – All Work Performed by Our Own California Countertop Crews. at the most Competitive Pricing, with the Utmost in Customer Service. Call Us Now at 619-460-0205 For a Free Quote! California Countertop displays the largest selection of brand named Solid Surfaces, Quartz Surfaces and Recycled Products in all of San Diego County. While there is no perfect countertop material that will meet the expectations of everyone, the products we carry have been proven to be the very best of what is currently available. We are here to assist and answer all of your questions, but ultimately, the final decision is yours to make. Below is an introduction to the most notable product characteristics, but should not be considered a complete comprehensive index. Once thought to be too uniform in pattern and lacking in character, are all things of the past. Manufacturers have made great strides in offering unique interpretations that mimic; bold, dramatic veins of exotic granites, to the soft delicately defined marbled swirls, and transcending over to a full line, palette of clean solid hues, there is sure to be something to compliment any décor. Strong, durable, virtually maintenance free, and a wide array of patterns and colors to choose from, are just a few of the reasons why this easy care, manmade product continues to grow in popularity. Comprised of 93% Quartz Crystal and 7% Resins and Polymers. Quartz is a natural occurring mineral, found in abundance in nature. Ranks 4th on the MOH scale of hardness, surpassed only by topaz, sapphires and diamonds. Virtually Maintenance Free. NEVER Requires Sealing. Non-Porous, Sanitary Certified for Commercial Food Service. Strong, Durable, Heat and Scratch Resistant. The allure of natural stone is unique, engaging and ever changing, with no two slabs ever being exactly identical. Granite, Quartzite and Soapstone continue to be popular choices for high usage areas such as kitchens. The composition of natural stone varies greatly. Research not only your choice of material, but color also. Absolute Black Granite is extremely dense and hard, while most Exotic Granites typically have a higher mica content making them more fragile and porous. Requires maintenance. Use a good quality sealer twice a year. Wipe up spills immediately. Prolonged exposure with citrus juice can etch the surface. Protect your Investment by Purchasing from Reputable Stone Yards, it DOES MAKE A DIFFERENCE! Cosentino, the same company that manufacturers Silestone, has taken a natural mined granite, added a revolutionary protective treatment, providing high stain resistance, backed by a 15 Year Stain Warranty. In 1967, DuPont chemist, Dr. Donald Slocum created a revolutionary new product, comprised primarily of acrylic polymer, under the brand name of Corian. 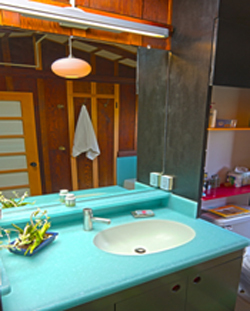 In 1971, Corian was first introduced for sale at the National Association of Home Builder’s meeting in Houston, Texas. After the expiration of the Corian patent, numerous companies began marketing their own versions of Solid Surface. Corian continues to lead the industry with an innovative design palette: Available in over 100 colors, random patterns that mimic the look of natural stone, subtle metallics and Deep Color Technology. Seams are inconspicuous, but may not be entirely invisible, especially true of random directional patterned sheets. 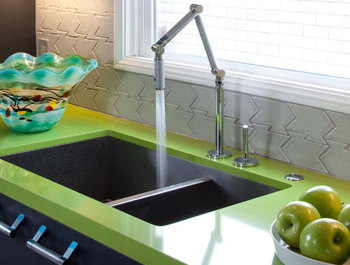 Featuring integral sinks, coved backsplashes, routed drain boards, and may be thermoformed into endless shapes and designs. Non-Porous, Clean, Sanitary. Heat and Stain Resistant. Renewable. Color and Pattern continue thru out. Minor surface scratches can be buffed out, returning your countertops to like new condition. Isn’t just for countertops. Perfect for Shower Pans, Tub Walls, Table Tops, Window Sills, and Cladding Furniture. Good for the Environment. Reduces the amount of waste going into landfills. The warmth and beauty of real wood is a timeless classic that never goes out of style. available in Maple, Black Walnut and Cherry. Basic tailoring of custom options available. Very Finest in Hand Selected Domestic and Imported Woods. High End Quality, German made, Luxury at an Affordable Price. Color Matching Faucets and Accessories for Silgranit Sinks. Protect your drain lines with Pro Evolution 2 & 3 grind staged Food Waste Disposals. Instant Hot Water Systems, No more waiting for Hot Water. Quality 16 gauge Stainless Steel Kitchen Sinks.